Game of Thrones just crossed another name off its list, as the HBO series was just nominated for its first Grammy. Ramin Djawadi, who was previously nominated for his score for Iron Man, was just nominated for Best Score Soundtrack for Visual Media for his Season 7 score, making this first Grammy nomination for Game of Thrones. That’s right, despite haunting us with “The Rains of Castamere” and the now iconic theme song — which you’re probably humming to yourself right now — Game of Thrones has never previously been nominated for a Grammy award. While the nod marks the first recognition by the recording academy, the score for Season 4 episode “The Mountain and The Viper” was nominated for a Creative Arts Emmy back in 2014. So with a dozen Emmys already under its belt, and now the possibility a Grammy, could Game of Thrones be halfway to EGOT-ing?? Well, no because that’s not possible…yet. Unless Game of Thrones is adapted into both a Broadway play — which would be interesting to say the least — and a thousand hour long film, Game of Thrones *won’t* pull off an EGOT. 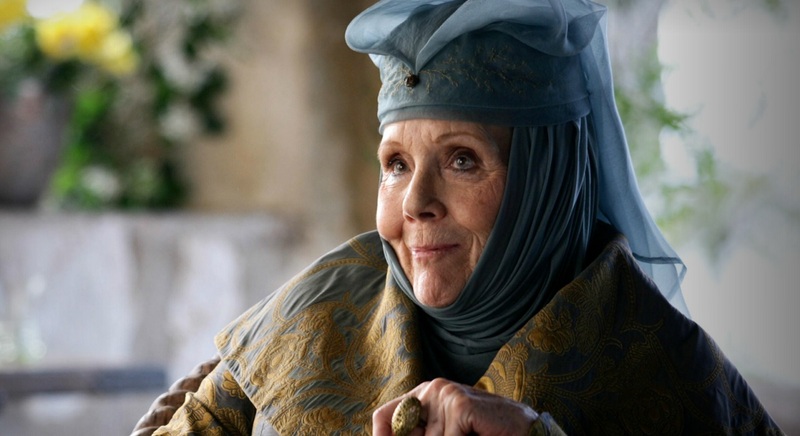 But, if Djawadi wins the Grammy in January, the series will be on par with Dame Diana Rigg, who has also won two of the four coveted awards. The Grammys in January will kick off what will surely be a big year for Game of Thrones. Due to eligibility rules, the seventh season of the hit series — which ended in August — was unable to compete during the 2017 Emmy awards, marking the first time the series wasn’t nominated for any Emmys since its premiere in 2011. In addition to its Grammy nomination, Season 7 of the the HBO hit series will likely be a major Emmys contender, as it looks to add to its already massive collection of awards. Seeing as the final season of Game of Thrones isn’t expected to air until 2019, it’ll definitely soften the blow to see all our favorite cast and crew members picking up awards for their work on the explosive penultimate season of the hit series. Game of Thrones will face off against Jóhann Jóhannsson for Arrival, Hans Zimmer for Dunkirk, Benjamin Wallfisch, Pharrell Williams and Hans Zimmer for Hidden Figures, and Justin Hurwitz for La La Land, at the Grammys in January. The Grammy Awards will be hosted by James Corden on January 28, 2018.